We are happy to offer our monthly Oil Change Coupons for our new and loyal Denver Colorado customers. These coupons include an oil change with up to 5 quarts of 5W-30 Oil, tire rotation, and 30 point inspection for only $35.00 at our Golden Triangle Auto Care Denver location on Speer Boulevard in the Golden Triangle neighborhood, just south of Downtown Denver. If your car requires Synthetic Oil, enjoy our $64.75 value coupon below! Specified filters & diesel supplies are extra; ask our front desk team or Marc for a quote when you schedule your appointment. All you have to do is show us the coupon on your smartphone and claim the deal! Oil Change Coupons. 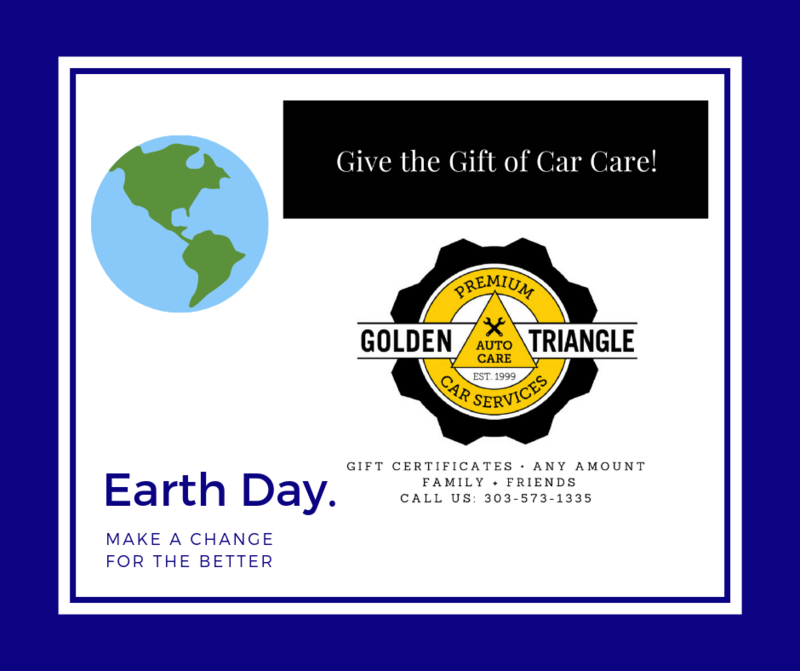 Discount coupon good at Golden Triangle Auto Care only. Oil Change and Tire Rotation $35.00 plus tax for regular, and $64.75 + tax for synthetic oil. Denver Colorado Golden Triangle Auto Care On Speer location only. Present coupon for discount. Additional restrictions may apply. Does not include diesel, synthetic or specialty filters. Oil disposal fee included. Coupons must be presented at time of service. One coupon per visit, per vehicle, per household. Golden Triangle Auto Care retains the right to refuse any coupon at any time. Coupon terms may change at any time at the discretion of Golden Triangle Auto Care. How about the gift of car care? Give us a call and we’ll take a load off your shopping! Speaking of Earth Day … we’re offering free recycling and alignment when you buy 4 new tires!